Beautiful single story by DR Horton! 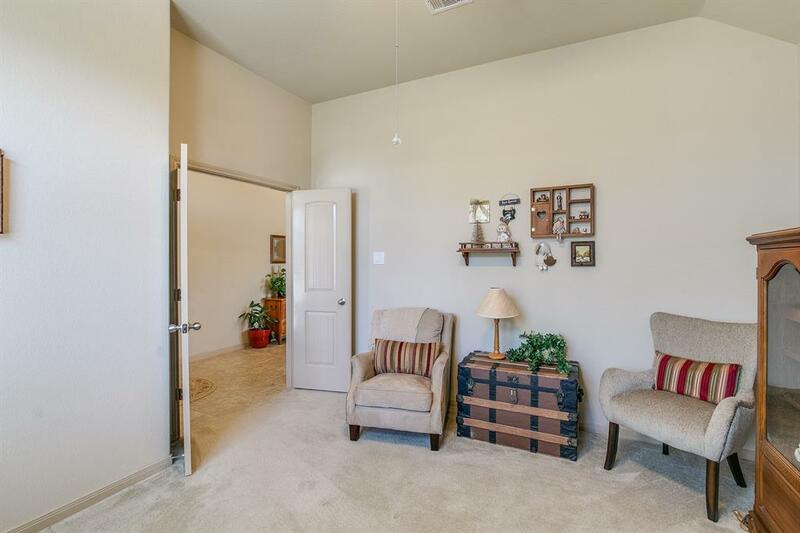 Located within the gates of amenity rich Canyon Lakes West with great curb appeal and three spacious bedrooms. 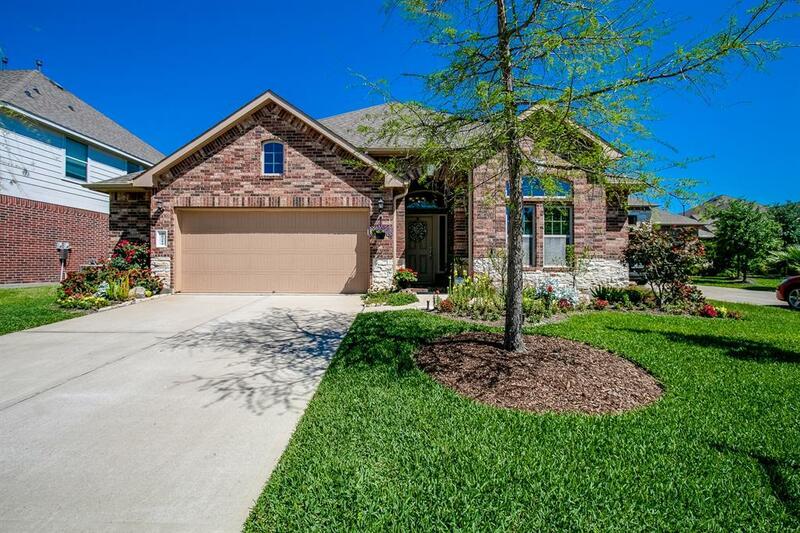 Gorgeous brick/stone exterior on large professionally manicured private cul-de-sac lot with full irrigation. 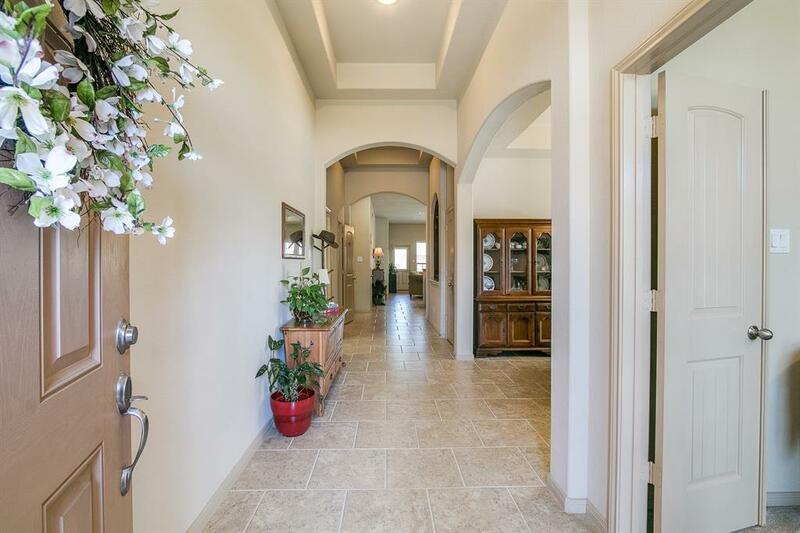 Grand entry with tile flooring, tray ceiling and recessed lighting reveals a lovely upgraded open plan with a private study, a large flex/game room and a formal dining area and butlers pantry. Corner fireplace in the large den with wall of windows overlooking the spacious backyard. The sparkling island kitchen features granite counters, breakfast bar and gas range. Large Owners retreat with private bath featuring corner soaking tub, separate shower and large walk in closet with built in shelving. Fully fenced backyard with concrete back wall and stained wood fence, covered grill space and extended concrete patio. 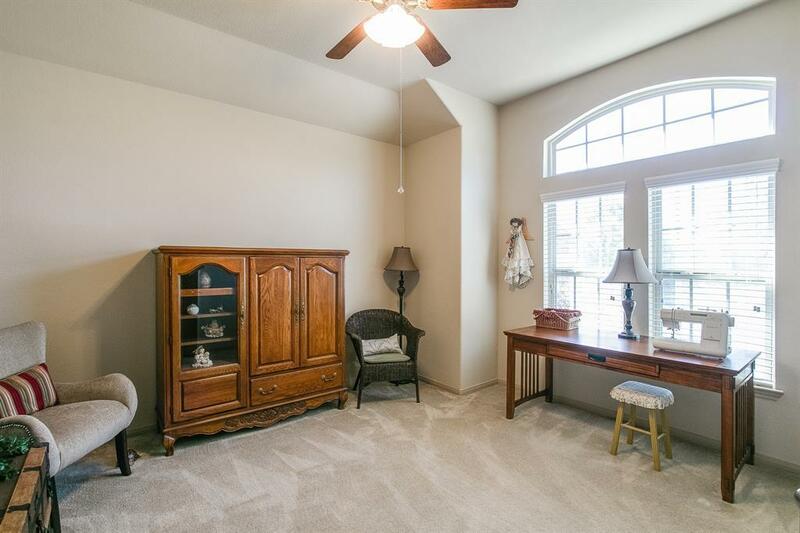 Large area of decked floor in attic for extra storage. Zoned to Cy-Fair schools.